1975: Classic Sci-Fi - SURVIVORS | Warped Factor - Words in the Key of Geek. Greg Bakun revisits the opening episode of the classic 1975 series Survivors. Have you ever wondered what would happen if 90% of Earth’s population was wiped out? How would the remaining 10% survive? 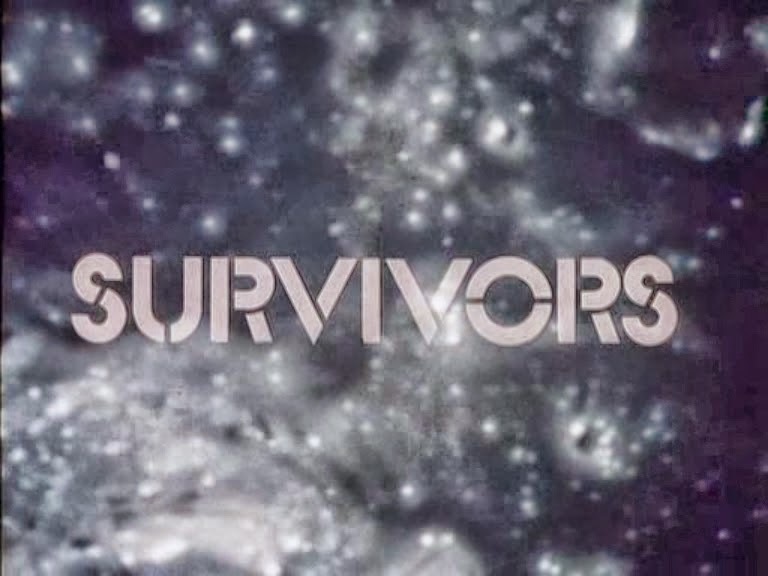 A really plausible explanation presents itself with the first episode of original BBC series Survivors, titled The Fourth Horseman. This apocalyptic series shows how quickly civilization can crumble into chaos. In it, we follow the separate lives of Abby Grant and Jenny Richards. Abby lives with her family in the country, and has a very comfortable life. While we don’t know much about Jenny, we do know she lives in London and are introduced to her as her friend Pat is dying from the mysterious virus devouring the human race. By the time the episode ends, Abbey and Jennifer are among the survivors of this virus and will soon meet each other as they start a new life. As far as first episodes go, The Fourth Horseman is extremely strong. Little time is wasted on how the virus spreads around the world. So little in fact it’s covered in the opening title sequence with the mysterious scientist who drops a flask of destruction. Survivors isn’t the story about who spread the virus or if there were any political motivations behind it. The virus itself takes a back seat to the characters who start off by trying to pretend everything is alright as we hear about people around the world becoming ill. This is where the episode is the strongest. Everybody, including the viewers, is well aware that there is something unnerving happening to their cozy existence. Although the break out has been circulating for a few days, the episode takes place the day before the virus devours most of the human race. Slowly government regulated services such as phone, electricity, trains and even the radio broadcasts breakdown, to show us the decay was well under way even before the public realised it. The scenes set at the beginning of the episode show us Abby playing tennis and generally being unconcerned by the news of the epidemic. It almost tricks us into thinking things are alright, but they are anything but alright. This is down to the direction of Pennant Roberts. He reveals visuals to us when he is ready to reveal them. A great example of this is when Abby wakes up after being sick with the virus for days. She walks around what appears to be her empty house. When she looks in the mirror on the wall, the reflection shows us David, her husband, dead on the couch. The moment is quiet, underplayed and horrific. If anyone came to Survivors having never seen an episode or knew nothing about it, it would be understandable to think Peter Bowles as Abby’s husband David was the main character. He is the stronger lead in terms of playing an active role in the narrative up until we find out he is dead. It is shocking because we never knew he was infected! Once Abby finds David dead, her new life begins. Perhaps more so than any episode of Survivors, this one really made me think about the possibility of how we are not prepared to survive an epidemic on that scale. To me, it is summed up with a conversation Abby has with Dr. Bronson. Dr. Bronson works at the boarding school Abby’s son Peter attends, and he raises some simple questions. Could you make a candle? Could you make a battery? This is one of the most powerful scenes in Survivors if not of all television. It shows how we not only rely too heavily on technology but also are made up of many individuals who have different skills. All the skills are needed for everything we make. Wipe out most of those people and suddenly we no longer have those skills needed to make basic necessities for survival. Dr. Bronson only had a few batteries left for his hearing aid and once those were gone he said he would be completely deaf. He remarked that he would make a poor survivor. Would you? Greg Bakun is a seasoned connoisseur and reviewer of British television. You can read more of his articles and reviews on his site From the Archive: A British Television Blog or listen to him drink wine on the Doctor Who podcast The Others. Oh, you can follow him on Twitter too.